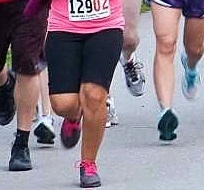 I would never claim to know much about running, which is fairly obvious when you take a look at my physique. That said, I do have friends who love to run and are annual participants in the OneAmerica 500 Festival Mini-Marathon held each May in Downtown Indy. And even though May seems many snowstorms away right now, I know training for that prestigious race begins now. That&apos;s why the fine folks at the Plainfield Parks and Recreation Department have a tried and tested program that begins in a couple weeks for all age and ability levels to get you ready for the big race or to get you in shape if this year&apos;s New Year&apos;s resolution includes getting fit. 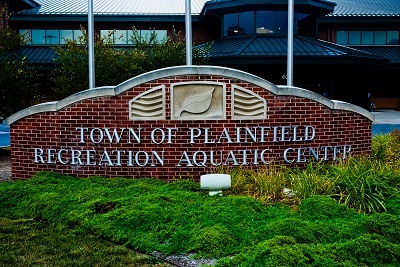 Led by Brent Bangel, Jeff Banning and Lisa Rader, the program will hold regular sessions on Sunday afternoons and Wednesday evenings at the Plainfield Recreation and Aquatic Center from Jan. 11-April 26 leading up to the May 2 race. The session on Jan. 11 will be an orientation and then from there the program will not only include training runs/walks and cross training but presentations from running and walking experts on choosing the right shoes and apparel, nutrition, stretching, preparing for race day, running techniques, recovery and much more. Brent Bangel, who works for the parks department, said the program has become a popular option for locals and visitors alike as participants have found that is is a great way to not only build camaraderie but provide accountability as the group works as one to achieve a common goal. Jeff Banning serves as the running instructor and oversees the cross training on Wednesdays, which includes a variety of options because of all the classes and equipment inside the Recreation Center. Spinning, weightlifting, yoga, swimming and water walking are just some of the options. "We even have those who sign up that don&apos;t plan to run in the Mini," he told me. "It is just their intention to have someone to hold them accountable and to help them get into shape." I highly recommend this program to anyone who might be considering running or walking in their first or 39th Mini-Marathon or who want some extra motivation to get into shape. When: Select Sundays and Wednesdays from Jan. 11-April 26. Where: Plainfield Recreation and Aquatic Center, 651 Vestal Road. Cost: $61 for a Recreation Center member; $70 for a resident; $82 for a non-resident and $10 off per participant for groups of five or more. Restrictions: Children under the age of 13 must be accompanied by an adult. Perks: Participants in the program will get discounts or even free admission into some local running events this spring as well as access to the Plainfield Recreation Center for cross-training opportunities during scheduled program days. Information: For more information or to register, call (317) 839-7665 or visit the parks department website.